Calculate appropriate ticket prices for Lodge events. The calculations are based on estimated event costs. The program also calculates the actual event Profit or Loss based on actual event costs. This program template will enable you to responsibly set ticket prices based on sound business practices. Enable you to take the arguments and politics out of setting responsible drink prices. One of the biggest problems of raising drink prices is that it makes the membership unhappy! They tend to get very vocal about paying more for their drinks. With this program you can clearly demonstrate that you are complying with the recommended 35% PC (cost percentage) outlined in the B.P.O.E. Grand Lodge Auditing Manual. There should be a PROFIT INCENTIVE for every Lodge event contemplated, every meal prepared and every drink served. Why? Because the alternative is closing your doors. 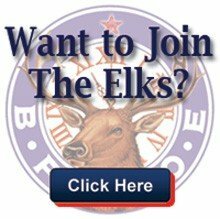 If your Lodge is interested in obtaining a copy of this program, consisting of one Word document and two Excel documents, please send your e-mail request to chea@chea-elks.org.